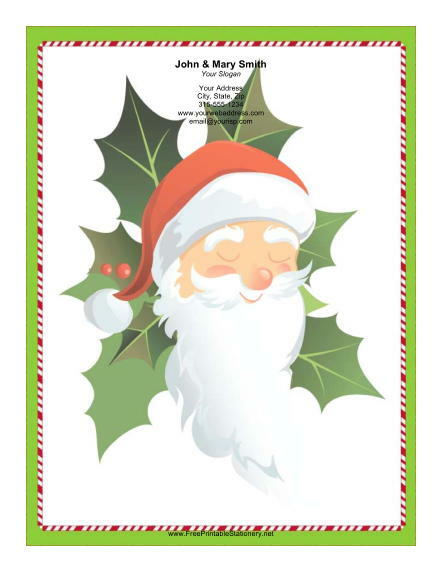 A large Santa portrait and a sprig of green holly are featured on this Christmas paper. Santa is surrounded by a festive frame of red and white candy canes with a green background. This beautiful Christmas paper is perfect when you need to send an attractive letter to someone you care about.